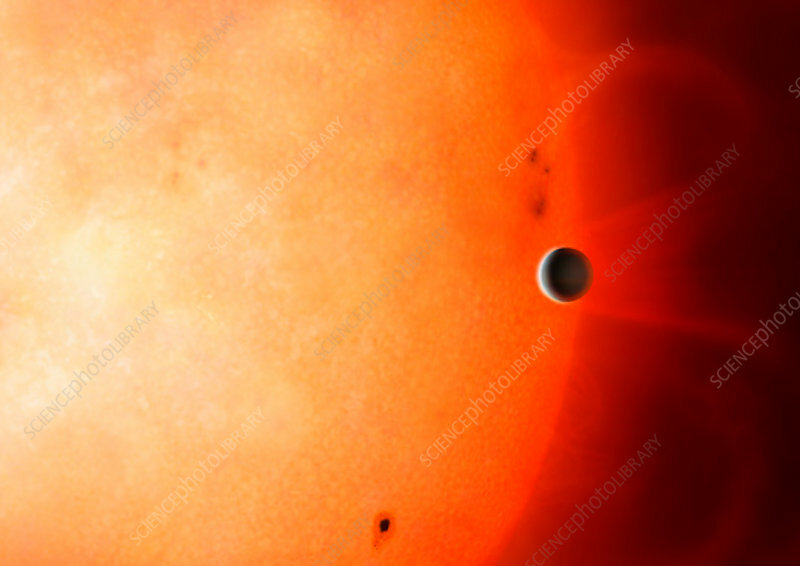 Illustration of transiting planet NGTS-4b. This is a planet inhabiting the so-called 'Neptunian Desert'. This is the name given to explain the dearth of planet of Neptune mass and radius and with orbital periods of 2-4 days. NGTS-4b is therefore atypical in being so close to its parent K star - just 0.019 astronomical units - with an orbital period of 1.34 days. It is likely experiencing mass loss owing to the intense X-rays and ultraviolet light from its parent star. Its surface temperature is estimated to be 1650K.